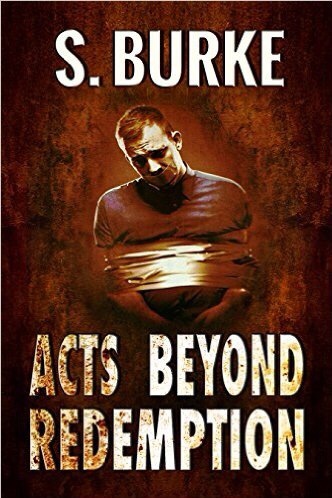 Welcome to The Watch #RWISA Write Showcase Tour: Day 15: Featured author Beem Weeks @BeemWeeks #RRBC – Welcome to the World of Suzanne Burke. Hello and Welcome to the Tour: I’m delighted to be featuring talented author Beem Weeks. My name is BEEM WEEKS. I am the author of the historical fiction/coming-of-age novel called “JAZZ BABY,” and a collection of short stories entitled “SLIVERS OF LIFE.” I was born and raised in Lansing, Michigan, USA. I am the third of four children – two brothers and a sister. My parents divorced when I was seven years old. I’ve been a writer since my earliest years, having co-authored a play that found its way on stage at my elementary school. This play, a work in the time-travel genre, taught me that with nothing more than pen, paper and imagination, I have the power to create worlds and characters that would not exist without me. When I reached high school, I enrolled in a journalism course, which led to my joining the school newspaper staff, where I wrote concert and record reviews, conducted interviews with student athletes, and anybody else who’d experienced something worth sharing. It was through my journalism class that I saw some of my music reviews make it into the local newspaper, giving me a nudge toward a career in journalism. Unfortunately, I chose the path of drugs and alcohol after graduation. During those years, I wrote very sporadically, often going months without producing a single page of new work. I eventually got sober, moved forward, and re-joined the living. On November 4, 2010, I lost my little brother to the side effects of chemotherapy in his battle with leukemia. On May 30, 2012, a month after “JAZZ BABY” saw release, my father passed away following a massive heart attack. This drained much of the excitement from my accomplishment. Neither my father nor my brother had the opportunity to read it. #RWISA Author Page: Beem Weeks. A great showcase for Beem, Soooz! Thanks for sharing. 😊It was my pleasure to showcase Beem. Thanks so much for stopping by, Lizzie. Killer period piece! Beem really nailed it. The dialogue and scene details were off the chart! This one was heavily edited, Mae, as this is part of my next novel. I had to cut it down and format it into a short story. Hopefully it makes sense. Thanks for stopping by. Great to know there is more of the story coming! Thank you, Denise. Your support is truly valued. Thanks for stopping by, Denise.😊 Beem’s writing takes me right into the sights, smells, and sounds of whatever scene he creates. Hi, Sooz! Thank you so much for hosting me on your blog. I am truly humbled by your kindness. Beem does write a good story for sure. Thanks, Soooz for hosting. 😊He does indeed, John. Thanks for stopping by.